Many refugees in Paris struggle with unemployment and social isolation. Their lack of voice takes a heavy toll on their mental health and exacerbates social inequalities. 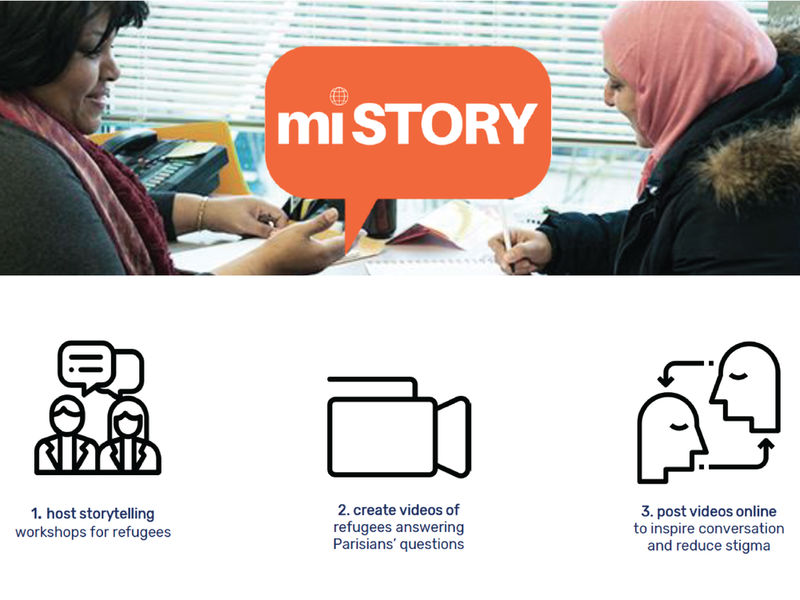 Inspired by a protein that permits the expression of previously silenced DNA, miSTORY creates storytelling workshops for refugees to practice communicating about themselves effectively in French. At the end, participants will create videos, answering questions submitted by Parisians. These videos will be disseminated online to inspire empathy and conversation between the two groups. miSTORY will use corporate volunteers and co-working spaces to provide instructors and locations. We also plan to employ former participants to facilitate workshops and allow the project to expand. Long-term, we will partner with film festivals, showcasing refugee videos and facilitating in-person conversations between the communities.